IdeasUnlimited has been providing support services to clients all over the globe for the past eight years, having completed over 4000 projects in a multitude of different industries. 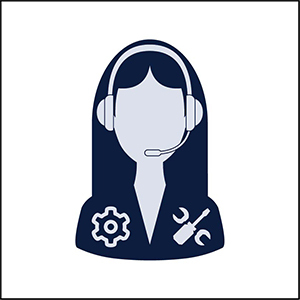 We provide a variety of services including call center support services, multilingual support services, virtual assistant services, ecommerce and backend support services, and operations support services. Our unique value proposition includes 24/7/365 support, flexibility and fast ramp-up options, omnichannel support, cost-effective packages, top call center and remote teams, skilled project management, and best-in-class technology and softwares. Our physical call center locations are in the Philippines, with 25 and 50 active seats respectively, where our employees work on site. 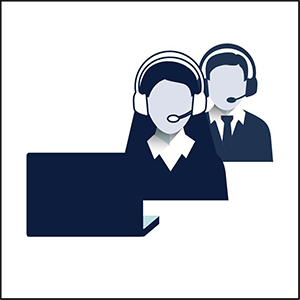 We are also equipped and registered to open 25-seat call centers in both Pakistan and USA. The number of seats can be easily scaled up, depending on your needs. We also have remote employees operating in South Asia, North America, South America, Europe, and the Middle East, who offer specialized services and more flexibility in terms of scalability and the ability to fulfill urgent requirements. You can also opt for a combination of employees in our physical centers and remote workers to allow you the flexibility of scaling up or down the size of your operations based on seasonal fluctuations in your business’ volume. IdeasUnlimited presents an authentic and consistent extension of your brand image since we work with you to understand your business, products and services, and values. 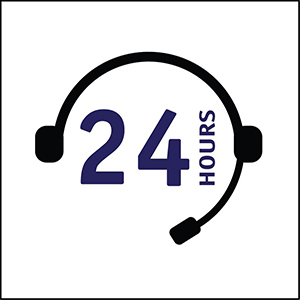 IdeasUnlimited’s 24 hour call center service ensures every opportunity is seized, exponentially increasing the degree of conversion from inquiries to acquisitions. We manage the omnichannel customer experience to ensure seamless, personalized interactions that translate into greater brand loyalty. Our specialized personnel undergo rigorous selection and training to deliver the best quality service. Unlike other companies, with IdeasUnlimited you can choose the ‘voice of your company’ that you want your customers to hear! Our vast experience with clients from all over the world and divergent industries equips us with the skills and expertise to offer a myriad of services. Call us and we will arrange expert support services for all your needs. One size never fits all; call us and we will tailor our services to your exact specifications so you get the most viable solution. 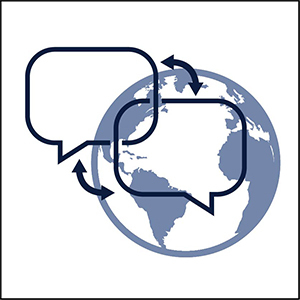 Our remote team offers us the unparalleled edge of fast scalability of operations. If you are unsure of your budget or hourly requirements, we have flexible monthly as well as 6 and 12-month contracts. We use the best available technology and have partnered with a third-party turnkey business VoIP provider to provide you with enterprise-grade unlimited inbound, outbound VoIP, IVR, voicemail, call recording, call queue, and other features. The latest tools and techniques are used at IdeasUnlimited to ensure customer retention and an increased lifetime value of customers, to significantly improve the bottom line. Our experienced 24/7 project managers carry out all the necessary training, coordination, reporting, and skill development to ensure optimal project execution. We carry out initial and ongoing training and ensure skill development on products, industries, and services as per the client’s requirements. 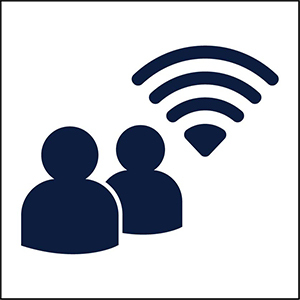 Our on-site and remote workers are monitored and we share the project data with our clients in the form of screenshots, activity levels, app and URL usage, etc. on our virtual monitoring platform. You can be assured of getting what you pay for! At IdeasUnlimited, we carry out regular quality assurance checks of our systems and projects to assure that we maintain the highest standards of quality in all that we deliver. Our services are competitively priced and the cost savings from working with us guaranteed. Our data analytics team prepares a monthly scorecard analyzing the key stats for your business, close competitors, and overall industry. This is in line with our commitment to help transform and grow your business. ”Ideas Unlimited has continuously provided us with excellent 24/7 call center support services throughout our partnership of over 5 years. They are a key pillar of our organization and are fantastic to work with! We look forward to working together into the future. ”We are a property management company in Middle Tennessee. We manage over 500 properties. Ideas Unlimited is our customer service team. They handle incoming rental calls, tenant maintenance requests, newsletters, emails and all aspects of customer service. Ideas Unlimited has been dependable and responsive to my customers’ needs. Their communication skills are excellent and are a cost-effective solution for managing our phones. ”Using the support services of Ideas Unlimited was one of the best choices we have made – I know we are in good hands and that our customers receive a great service. ”Our company has been using the services of IdeasUnlimited for several years and we have had great experience with the company. The service has always been easy – whenever we have needed more customer service agents the response has been very fast with IdeasUnlimited team finding professionals within a few days. Also in other issues their response has been quick and helpful. Being their client for several years has worked well for us. ”We have been using IdeasUnlimited since 2014 for all of our multilingual support, customer care call center work and backend support, and I must say that IdeasUnlimited agents have been top of the lot, efficient and productive. They have helped us grow as a company and introduce our products in different regions. They manage all of our European language work needs 24/7. ”We have used IdeasUnlimited for several years now for operations and administrative work, including appointment setting and online research. Their team has been professional and responsive. They have been a great partner for us as we scale our business, at a competitive market rate. ”I’m really happy with Ideas Unlimited. To be honest, I was skeptical about going over to the Philippines and outsourcing work but it has been a breeze. The team responds well, they follow all my instructions and more than that, if I have ever had an issue, the management layer has responded to my queries within minutes. Still working with them and I don’t plan to go anywhere soon! ”A great experience working with Ideas Unlimited. They went beyond simply doing the job by helping with some technical issues. Thank you to Nick and the team! ”Really good company to work with. Very organized and very quick to respond. Will definitely work with them again! ”Ideas Unlimited has provided us with excellent content monitoring of our site. Their staff is quick to respond to changes and updates, and their feedback and suggestions are very helpful in improving our system. Setting up our contract was easy, and the rate is very affordable for the quality of work they provide. ”I’ve been very happy with Ideas Unlimited Virtual Assistant services. The VA has been a hard worker, taking care of business and going the extra mile. You guys did a great job finding the perfect fit! ”I've been using Ideas Unlimited for my VA for almost 4 years now, and I can't say enough how great they are. My VA, Mike, is indispensable, detail-oriented, loyal, and just all around amazing. I wouldn't have found some of such quality on my own. Use them and find the best VA you've ever found. ”Fantastic Freelancer! Larry is both empathetic and technically savvy. A great fit for any company that relies on tech to automate solutions. We are available to answer any queries, provide you with more information, and create the most effective solution to suit your business support requirements.